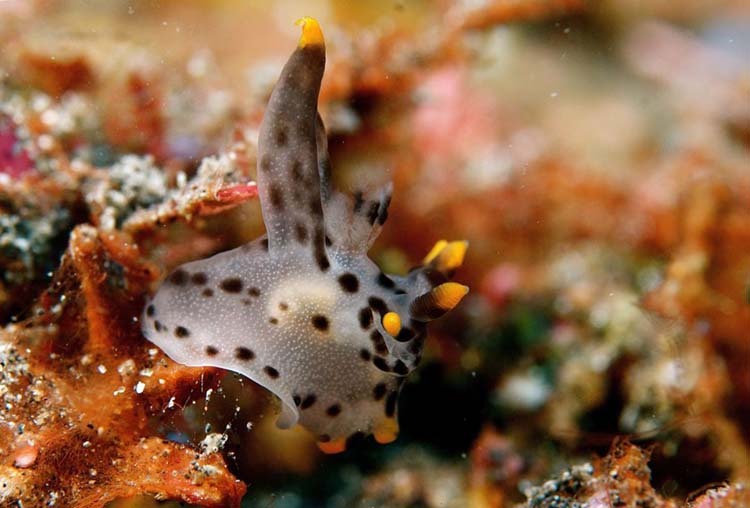 These small nudibranchs are very distinctly patterned translucent cream to grey with black/dark brown, orange and opaque white markings. Orange and opaque white markings are localised on the partial rhinophore sheaths, tips of the rhinophores, gills processes and tail. 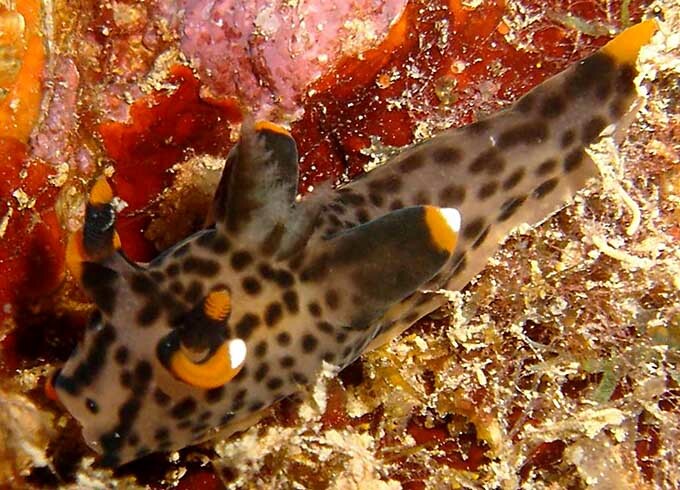 - The presence and importance of opaque white and orange markings are very variable on the partial rhinophore sheaths, tips of the rhinophores, gills processes and tail. - The black/dark brown coloration of the body is variable in form (dots and/or lines) and amount.